Movie: "Ray Harryhausen: Special Effects Titan"
Modern filmmakers talk about how they were inspired by the works of Ray Harryhausen. Ray himself speaks about how he made all the creatures in his entire filmography come to life. 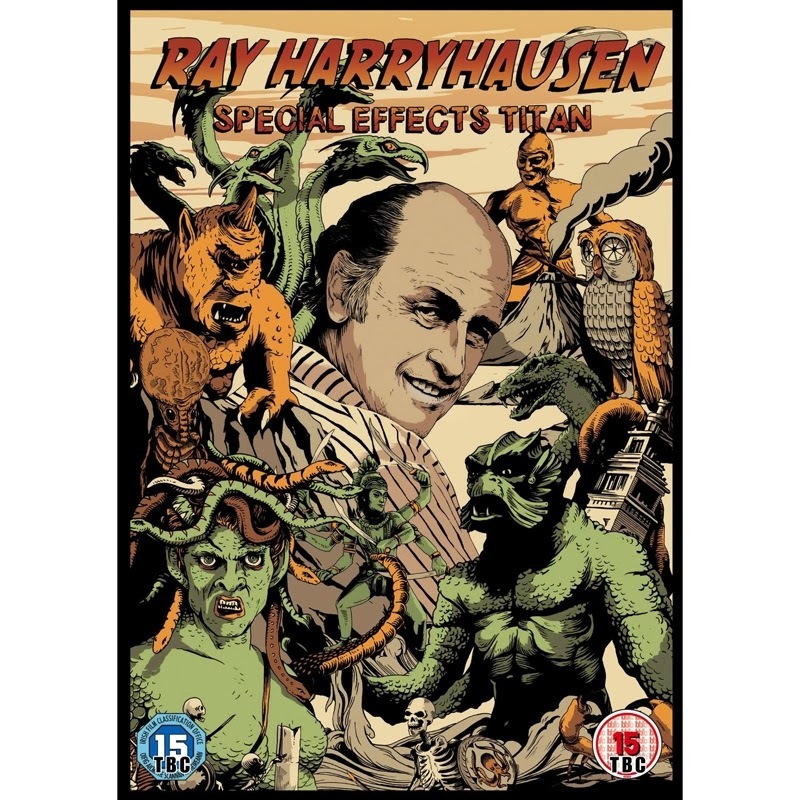 Ray Harryhausen is a name that might not be recognized by the average film-goer, but for those of us who love the fantasy genre, especially early movies with outrageous special effects, Harryhausen is a well known name. Even those who don't recognize his name right off the bat have seen his work. Regardless of knowing his name, you most definitely have seen the work of those inspired by Harryhausen. Ray was in charge of bringing creatures in films like "The Seven Voyages of Sinbad," "Jason and the Argonauts," and the 1980's version of "Clash of the Titans" to life. He inspired directors like Steven Spielberg, James Cameron, Peter Jackson, Tim Burton, and Guillermo Del Toro, as well as stop-motion wizards like Henry Selick, director of "The Nightmare Before Christmas," as well as Wallace and Gromit creator Nick Park, just to name a few people. This documentary shows how Harryhausen worked in a time before CGI and still made it possible to put whatever he wanted on screen, even in times before giant animatronics were possible and frequently used. To see the painstaking effort that went into creating each detailed creature from scratch, from its concept art to the detailed stop-motion puppetry, as well as how effects wizards melded stop-motion animation with live action in the most seamless way possible, is impressive to say the least. Modern FX creators are interviewed and go in-depth about how Ray's stop-motion has even had a heavy influence in modern CGI, drawing inspiration from how Ray moved his creatures and how to make their present animations look more realistic like his were in the past. There isn't a lot of flash to this documentary as it's just a series of interviews with those in the industry while simultaneously interwoven with film clips, though it does show many of Harryhausen's original creature models, which is really cool to see as film lovers. There are also some behind the scenes clips of some of his older work while he was in the process of making it, but there is not a lot of detail on the actual construction of these creatures. Overall, this is a pretty informative documentary for those who are interested in such subjects like the cinematographic art forms of stop-motion animation, puppetry, current animation and CGI, as well as a showcasing of Harryhausen's older storyboards and concepts for what have become iconic and important stepping stones in the fantasy and sci-fi genres. One year ago, we were watching: "Lone Survivor"